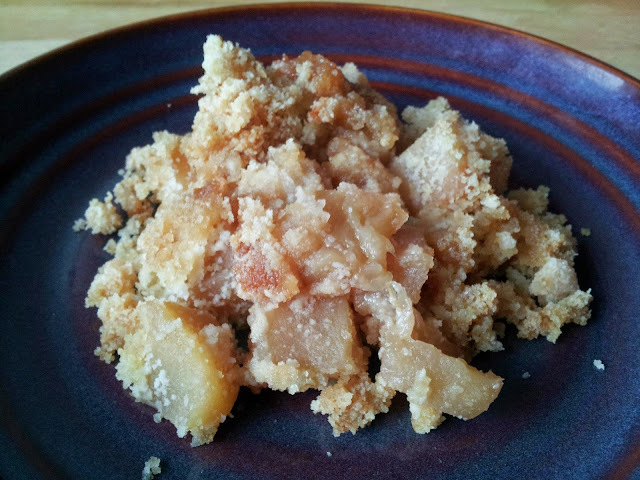 I wanted to try a variation of my Slow Cooker Apple Crumble recipe, so I thought coconut would be a great way to change it up. I actually liked this version even better than the original-I'm a big fan of coconut! This recipe is gluten free, dairy free and vegan, so it makes a great potluck or dinner party recipe if you need to account for special dietary needs. Spray canola inside slow cooker pot. Cut peeled apples into bite sized chunks. Lay apples inside slow cooker. In a mixing bowl, combine ground almonds, coconut and sugar. Add coconut oil and mix until uniform. Pour mixture over apples evenly. Cook on high for 2 hours.